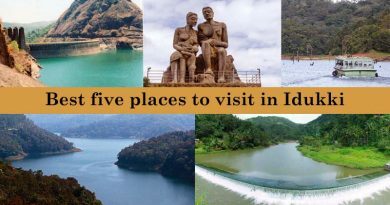 Do you know about these five best places to visit in Kanyakumari? 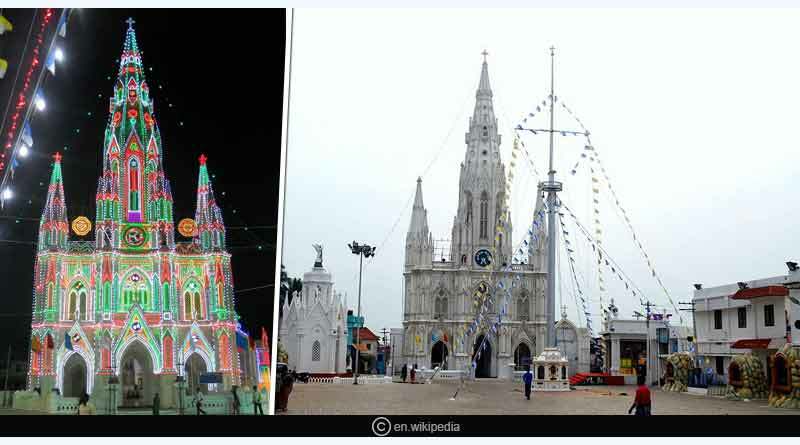 Our Lady of Ransom is a Catholic church located in Kanyakumari, Tamil Nadu. There have been found archaeological evidence that suggests the arrival of St. Thomas, one of the twelve disciples of Jesus Christ to Kanniyakumari. It has a great historical significance as there have also been found instances like the edicts and inscriptions that date back to 15th and 16th century. It is a sublime white structure that will leave you enthralled the moment to visit there. The interiors are equally splendid. You should experience the church in the spell of coloured light that makes it look even more appealing. 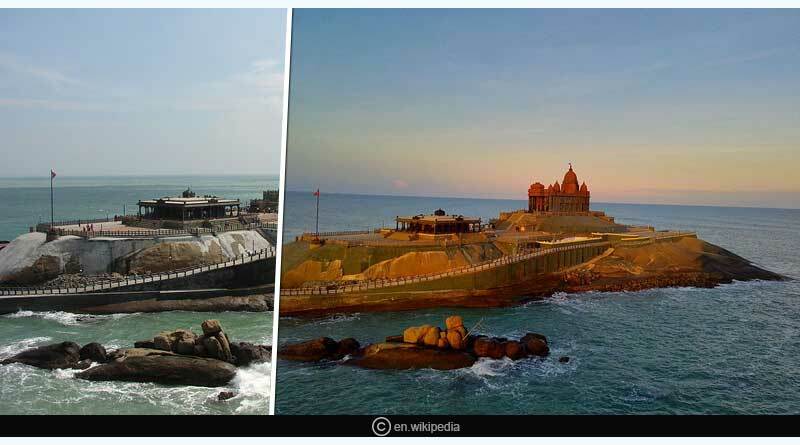 Vivekananda Rock Memorial is one of the most popular tourist spots in Kanyakumari, India. It was built in 1970, in honour of Swami Vivekananda who is said to have obtained enlightenment on the rock. According to the local people, it was on this rock that Goddess Kumari, the local goddess performed austerity. A meditation hall named “Dhyana Mandapam” is attached to the memorial for visitors to meditate. The design of the mandapa constitutes different styles of architecture from all over India. The memorial includes two structures, the Vivekananda Mandapam and the Shripada Mandapam. This temple is also known as Sthanumalayan Temple which is located in Suchindram in the Kanyakumari district of Tamil Nadu, India. 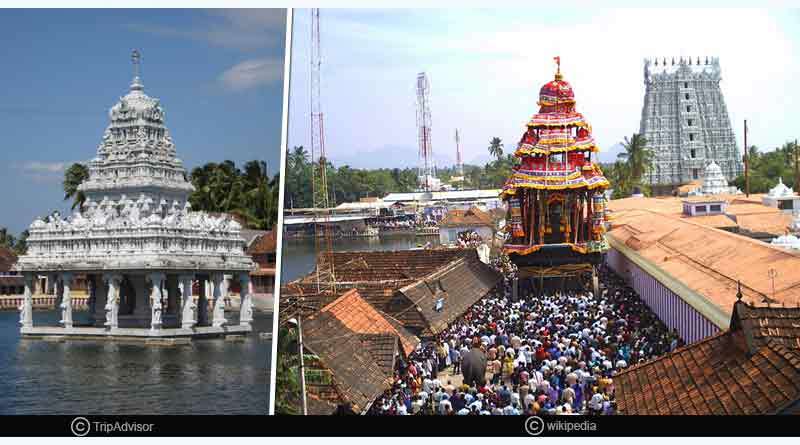 The name Sthanumalayan denotes ‘Trimurti’ where “sthanu” means Shiva, “mal” means Vishnu, and “ayan” means Brahma. The temple was built in the 17th century and is famous for its sculptures. The place has another name, “Suchindrum” from the Sthala Purana. One of the Hindu mythological legends say that King of Gods, Lord Indra got relieved from a curse at this temple. The word “Suchi” is derived from the Sanskrit word ‘Suchindrum’ which means “pure”. It is also believed that Lord Indra visits the temple to worship at midnight every day. 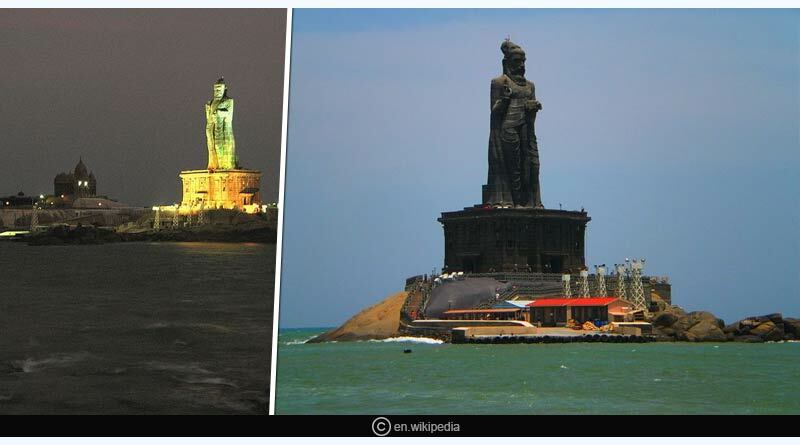 The Thiruvalluvar Statue, or the Valluvar Statue, is a 133-feet (40.6 m) tall sculpture of a Tamil poet and philosopher Valluvar, author of the Tirukkural, an ancient Tamil work on secular ethics and morality. It is located at the top of a small island near the town of Kanyakumari where two seas (the Bay of Bengal and the Arabian Sea) and an ocean (the Indian Ocean) meet. The statue was sculpted by V. Ganapati Sthapati, an Indian sculptor. It was unveiled by the then Chief Minister M. Karunanidhi on 1st January 2000. This statue is currently the 25th tallest statue in India. The Sothavilai beach is one of the most important beaches in the district of Kanniyakumari, Tamil Nadu. The beach stretches over 4 km which makes it one of the longest beaches in Tamil Nadu. It is a spectacular view during the sunset, when you can see the entire ocean reflecting the light of the Sun, with the cool breeze and the relaxing sand, altogether making it a heavenly experience. It was also one of the most seriously affected areas of the district during the 2004 Tsunami. For more articles like five best places to visit in Kanyakumari, do Subscribe to our newsletter and follow us on Facebook, Twitter and Google+.